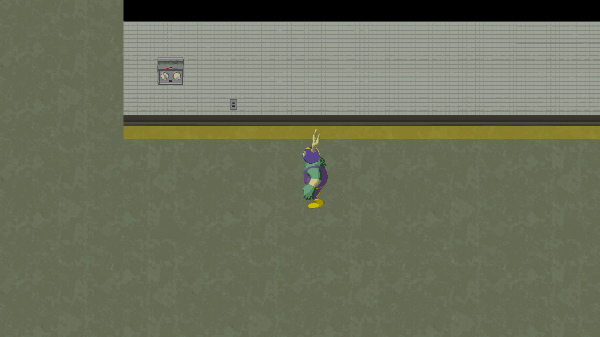 Lost in Lie Station is a topdown adventure game set in a creepy old subway station. 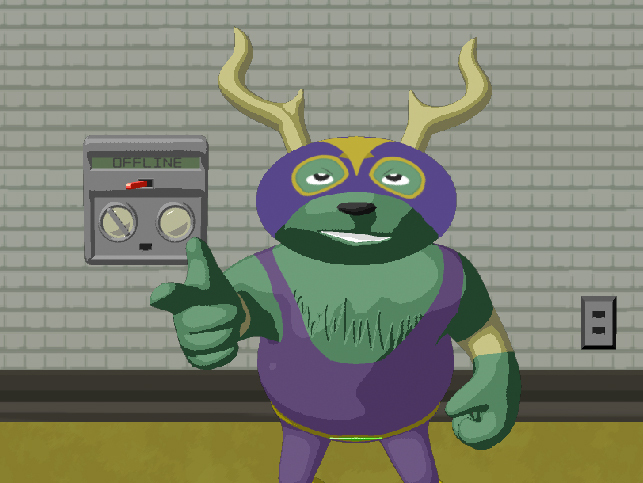 You play as Jackie, a mischievous jackalope who gets off at the wrong stop on the subway line. He adventures through various environments and collects boat parts to escape this abandoned station and get back on his journey. 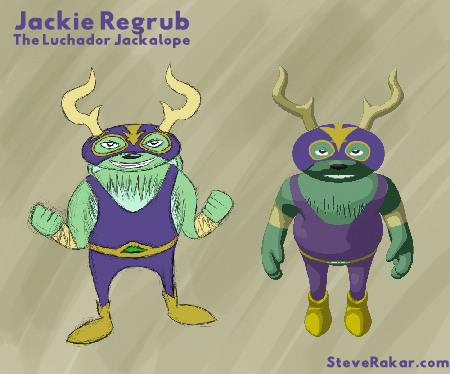 Jackie is a luchador jackalope. He is a mischievous little guy who likes to play pranks on people. He comes from a village of equally devious creatures who dub themselves The Liars. When the authorities learn of their troublesome ways, they destroy their home and attempt to throw them in jail. However, The Liars manage to escape and set off on a journey to find The Land of the Liars, a legendary place where the inhabitants can cause as much trouble as they want without fear of repercussions. On his way to find The Land of the Liars, Jackie gets on a subway. Unfortunately for him, he misses his stop and ends up at the end of the line... Lie Station. 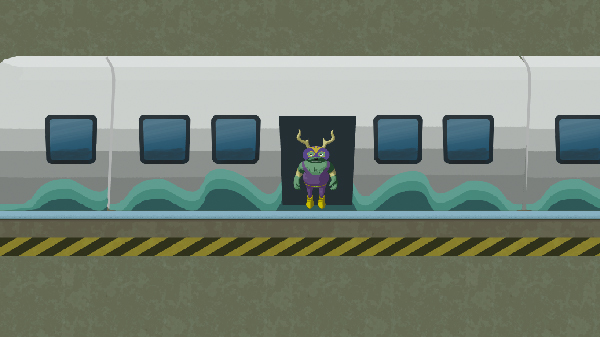 Stranded at this creepy station, he has to explore his surroundings to find a way to get back on track. The game plays like a top down Link to the Past-esque game. 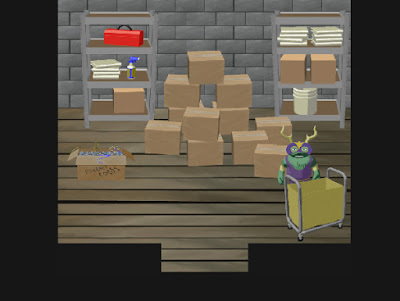 While there is some 'combat' involved, the game is more focused on exploration and puzzle solving. Not to spoil anything, but early in the game Jackie meets a friend who is working to build a boat on the nearby lake. The goal of the game is for Jackie to collect all of the boat parts so that they can use the vehicle to escape the abandoned station and get back to their journey. These boat parts are scattered throughout the environment, and each will require a certain task to be completed before obtaining it. I am creating the art for this game in a somewhat unique style. I wanted this game to look and feel like a 2D game, however (as I learned from my last solo project) creating all of the necessary sprite animations by hand is extraordinarily time consuming. Instead, I've decided to create a good deal of the assets in 3D. 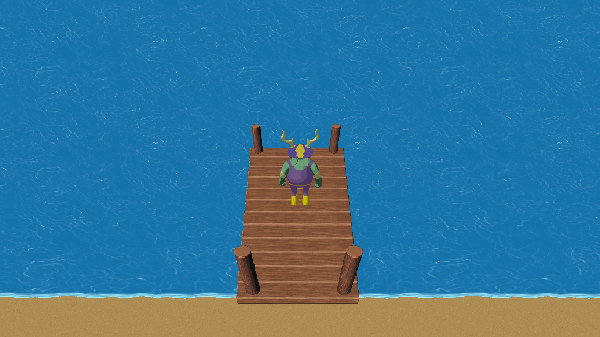 By rendering the characters and environments with the proper shaders, I'm trying to achieve a look that emulates 2D. I'm also pulling a Donkey Kong Country with this game and actually rendering out individual frames as sprites instead of directly importing any 3D models. With today's technology, it's probably a pretty backwards approach, but I've always wanted to do a project that way so I'm giving it a try! Lost in Lie Station is being developed in Unity 5. With the great new 2D options, it was a pretty natural choice. I've learned a lot from the multiple games I've developed in Unity, so this time around I shouldn't run into as many technical issues. I've also purposely chosen to make a game that doesn't rely too heavily around action or physics so that it won't be as difficult for a non-coder like me to program. I'm intending for this to be a pretty short development cycle (that's what they all say!). I know a lot more about what I'm doing this time around, so I should be able to keep the scope under control. The entire map is already laid out, and there are only 5 boat parts to collect, so I think I can stick to my goals. If all goes well and I have enough time to focus on this, I should probably have things wrapped up early next year. 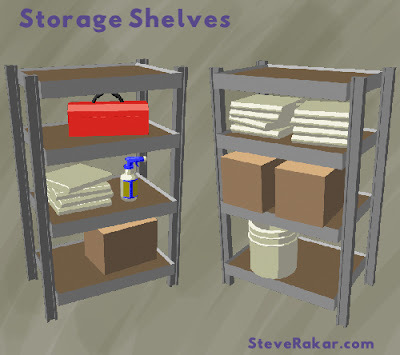 My current goal is to get at least one item off my asset/animation checklist each day. Seeing as it will be such a short game, I don't know that this is necessarily a game that I would charge people money for. My ultimate goal here is to create a fun, finished project that people can enjoy, so we'll see where it goes. I got things moving really quickly right from the start. I managed to get the character fully modeled, rigged, animated, and rendered all in just a few days. I also have all of the map designs done at this point, so I'm pretty happy with how things are moving along. My time since finishing these essential pieces has mostly been filled with creating individual environment assets and adding them to the layout. I'm not working on a strict grid, so lining them up can be a bit of a chore. Once I get a few more of the essential background pieces finished, I will likely begin work on the game's second major character, Monster of the Lake. Thanks for reading and stay tuned for more updates. Until next time... Adios!